Select! What's the best visa for you? Low IELTS and Worried about your Visa? Mon Project Quebec is the Answer! Thanks to the new migrants, population of Nova Scotia reaches all time high! Western Canada revealed to have more volume of jobs. Launch of the Electronic Travel Authorization Program for visa-exempt foreign nationals - Canada Immigration. Changes of subsection 190(3) of the immigration and refugee protection rules - Canada Immigration. Thanks a lot for your support and guidence in making my visa get approved. I can surely say you are the best consultancy we have ever travelled.Especially, the acknowledging emails you use to send all the time for every chat we made with you is simply amazing.i think this kind of follow up and perfection from a staff like you is a very good for globaltree. Because we heard good feedback about you from my friends ,after that we approach you and experienced same. We appreciate the way you understand our thinking,requirements,conditions and guide us according to them in a right way to make this success fallen in my life.your suggestions are very helpful even in my visitor visa extension process when I am pregnant. Canada Visit Visa Granted !!! I am thankful for the flawless attention and commitment I received from counsellors at Global Tree. The application process and VISA formalities were letting my morale down but hats off to Global Tree for their commendable help provided to me which enabled me to get my Canada Visit Visa granted. The outstanding quality of services was provided in a stipulated time frame have always impressed me. You guys were always attentive and supportive during the UK Visit Visa process, and suggestions given were actually fruitful. I thank you for your ample support and guidance. Visa granted, was music to my ears and you were the rock band who played this music. I am sincerely very thankful to Global tree in supporting me and advising me during my visa application process. I thought that getting Australia Skilled Nominated Visa (Subclass 190) is a complicated process, but you proved my thinking wrong, as you made everything so easy and smooth that I could hear the music of Australia Skilled Nominated Visa (Subclass 190) granted. Thank you so much. I would appreciate the team of Global Tree for their updated information system regarding countries, Canada Express Entry Visa (Canada PR) and educational institutes. You guys acted as google for me, for each and every question you had the answer. All my stress was aired after I reached this place, and finally I am getting my Canada Express Entry (Canada PR) visa. Thanks a ton, and keep up the good work. I am thankful to GT, for their cent percent support and guidance throughout the process. From the very first day till I got my Australia Skilled Independent Visa (subclass 189), the team was with me to clear all my needs and doubts regarding visa. I couldn’t expect more than this from any company, Global Tree you are outstanding! 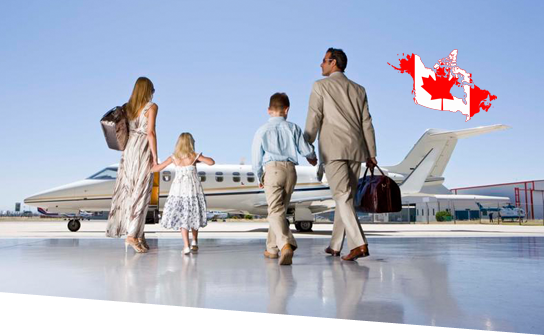 Global Tree is not just a company providing support for Canada Express Entry (Canada PR), but they get involved with their client both professionally and personally. They understood my profile, my needs and wants and suggested me universities and country I should opt for further studies. Not only this, I got coaching and all required support because of which I got the invitation. I thank you for believing in me and letting me believe in you. I heart fully need to acknowledge you for the continues support and updates, this is really a notable work from you.Frequent mails from you reminds me that GT is always with my Visa process and this is enhances trust on Global Tree. You did a splendid job.!!! Expecting the same support in further process. Its been very supportive from you guys. In time replies and perfect co-ordination and documentation helped me a lot to get the visa. I am pretty much pleased with your work and support. I would rate 5/5 for your service. Firstly, thanks for the wishes that you have extended in achieving this success. It takes me immense pleasure to thank Global Tree & its Team starting with Shyamili, Prasanna & others. Overall, I am impressed the way the application updates and the process had been taken through other to the initial hiccups that we addressed too. As a team you have done a great job to help me achieve this & as like I have been doing I shall continue recommending your organisation within my circle. Lets also collectively work on the other committed line items like Job Search, post landing assistance and etc. Your service is outstanding for prompt, courteous and outstanding. I never hesitate doing business with you in future. You guys are great with your prompt response time. I am impressed with your company as well as your ability to provide the means skills needed to resolve the issue.Again, many thanks. Thank you for your help and I am happy that my Visa is granted. Thank you very much for your help in the process of getting my visa invitation. Warm greetings!!!!! This is great news. I also wish to give a very positive feedback for the entire process. Your process consultant has played a very important role in the entire process. She has been a constant support and with this support I have been able to get a visa. She had full knowledge of the process and her timely guidance enabled me to submit all my documents within the given timelines I wish to thank her and look forward to her continued support. Great work Thanks Mr. Amogh Gupta. I do extend my sincere appreciation to you and your team to make this happen. You have managed this transition in a very professional manner and enable me each and every level. Though it was difficult to arrange such lengthy documentation but your patience and follow make this happen. Great work at your end !!! Am glad to convey that I have received the visa for 5 years today from US embassy. On this moment, I would like to personally thank you by-heart for your efforts in making this possible. I believe that you made this uncomfortable journey look very easy for me by explaining and detailing everything from day one, guided me as a mentor, gave intact communication at every point of time, suggested as a friend and took the head-ache over me. Keep up the good work and all the best. You and your team was very supportive to us in all aspects and each and every step of the process. 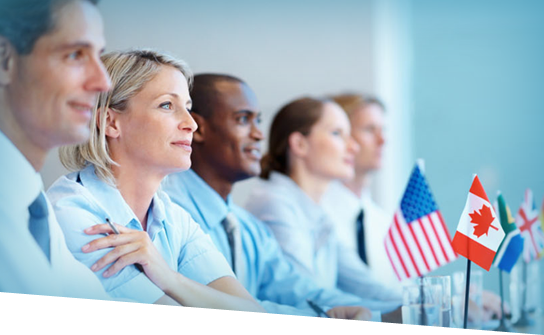 We will recommend your consultancy to our friends and family who are interested in immigration. We have received the grant notification emails today. Thanks for your support throughout the process. Thanks to the entire globaltree team for the wonderful guidance and support. We highly appreciate your efforts in making our visa application process a very smooth one. The best part is we were never misguided or given unnecessary tension. You have been a good guide in giving the right information at the right time. Thank you team global tree who have been a passive participant's for our visa grant, otherwise it would not be this convenient. We work with Registered ICCRC Agents. We work with Registered IAA Agents. We work with Registered MARA Agents.